Sikorski Meat Market is an established Polish Butcher with store locations in both Brooklyn and Bethpage, New York. The Sikorski Family has prided itself on creating quality products and providing friendly service to its loyal customers for over 40 years. Our kielbasa is made the old fashioned way with only the finest ingredients. 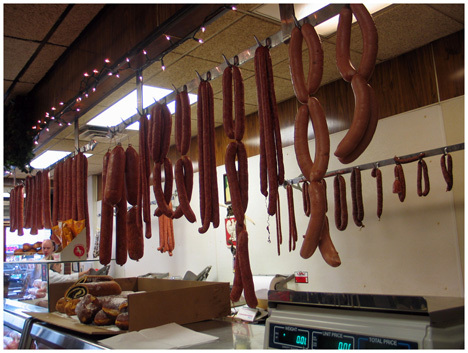 We have a full line of smoked meats, kiszka, hurka and our own cold cuts and breakfast sausage. In addition both stores carry babka, breads, and an array of polish imports. Our Brooklyn store also offers full catering services for all occasions; both Polish and American menu selections. Visit our products page to see some of the items we stock.